Very excited, as “the book” is finally at the printers. With my friend and colleague Cindy Kohtala, and a surprising number of wonderful people with writing, photography and other skills and resources to offer the joint effort, we have put together a book to celebrate our home town, Helsinki. Well, not just celebrate. What inspired us to produce it was our sense that like so many other cities, Helsinki is not necessarily being built as well as it could be. So we invited people who work professionally on caring for or changing the city, to write about it. We also invited British architecture critic Jonathan Glancey, who knows Helsinki well and clearly loves it, to share his thoughts on the changes. His melancholy text still put a lump in my throat when I read the final proofs. This is my first foray into producing a book for the general audience – previous efforts have been directed at academics and professional audiences, so I am curious and a little apprehensive about how it will be received. Fortunately, Cindy and I were lucky to find a fabulous graphic designer, Matti Berg, to do the fiddly but extremely important work of compiling a book that includes not just written text but generous illustrations of many kinds. Add to that challenge, there is also the fact that the book is in three languages throughout: Finnish, Swedish and English, something that the publishers Nemokustannus were not so keen on at first (they presumably knew what a hassle it was having done one before, Suomen Majakat). There will be a number of opportunities to join us to discuss the book. First, in English/maybe Finnish, with author and architect Pia Ilonen, at Arkadia International Bookshop (Nervanderinkatu 11) on 28.10.2015 at 18:00. I will lead a discussion with authors/architects Tarja Nurmi and Hella Hernberg at the Helsinki Book Fair on Sunday 25.10.2015 at 14:00 (in Finnish). The book will be available at Nemo’s stand too, if you would like to come and get it (stand 6e91). (Scroll down for some English) Viime viikolla tupsahti postilaatikosta uusin Yhdyskuntasuunnittelu lehti. Kyseessä erikoisnumero aiheesta kulttuurin ja muotoilun arvo kaupunkien kehittämisessä. Kaikki sai alkunsa Turussa Kaupunkitutkimuksen päivillä eräänä kauniina kevätpäivänä. Helsinkiläisen antropologikolleegani Pekka Tuomisen kanssa vedimme paneelin ‘art and design as tools of urban transformation’. Konferenssin teema oli arvostusten vaikutus kaupunkikehitykseen: avainkysymys, kun tarkastelee kaupunkien vähemmän kuin loistavaa kehitystä niin Suomessa kuin muuaallakin. Kokosimme yhteen mielenkiintoisen ryhmän tutkijoita ja Skypen välityksellä saimme myös tallinnalaiset kolleegat mukaan keskusteluun. Mieleen painui myös Metropolian Suvi Ahon kokouspaikalle tuoma vantaalainen lohi, josta voi lukea lisää täällä. Jukka Vahlo: Kulttuurisuunnittelua tulevaisuuden kulttuuripääkaupungeissa? So, iin English, the abstract for the introductory essay for this special issue of the journal on culture and design in urban transformation: The concepts of culture and design have entered politics and economics in new ways, and both are used in strategic ways to pursue urban development goals. 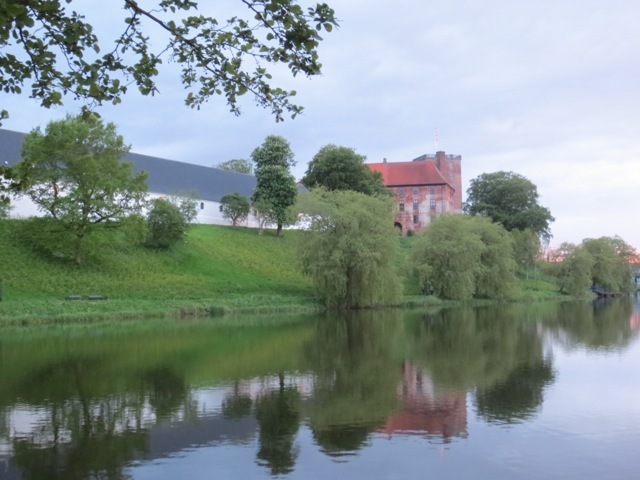 As an introduction to a collection of two articles and three shorter texts that critically survey experiences in Finland, Denmark and Estonia, this article considers the uses of culture and design under conditions of normalised neoliberal place competition. Taking an anthropological view of social processes and drawing on Helsinki’s year as World Design Capital (2012), together with illustrations from the contributions, it raises questions about the political dimensions of culture and design policies. Kannen kuva, alla, on otettu Pasilassa Kääntöpöydällä, missä kaupunkisuunnittelun tulevaisuutta pohditaan ympäristönäkökulmasta ja vapaaehtoisin mutta sitäkin inspiroidummin voimin. Hyvän kaupungin rakentamista ei kuitenkaan pidä erehtyä luulemaan leikiksi. Last week I was in Washington DC at the annual conference of the American Anthropological Association. As editor of the European Association’s book series, I went to Washington primarily to find out what is happening in the discipline. The 7000 or so delegates swarmed across two large hotels in salubrious surroundings. What little I saw of the capital of the USA, suggests that all is well there, no potholes, no homeless people even. The worlds presented in the conference panels told a very different story. For most people, it seems, life unfolds in crumbling infrastructures or ones built for the sole benefit of others. The conference panels presented a world shot through with imagination-defying injustices, North and South. The protests going on at the time of the conference, against police brutality, were a reminder that systematic injustice pervades cities like Washington DC as well. I participated in a panel titled “The center cannot hold”? Pivotal spaces and political geometries in the ‘polycentric’ city, with a paper about Helsinki’s DIY urbanists. I talked about Helsinki’s Happihuone or Oxygen Room greenhouse, which stood in leftover city-centre space from 2000 to 2007. Supported at the time with public money, initially known as Växthuset, it was a bit of DIY urbanism cleverly inserted along with an Art Garden into the city’s programme as a European City of Culture that year. (See here for another short blog-post in English). Then the Oxygen Room continued for several summers showcasing sustainable design and living quirky urban culture. In 2007 construction machines took over. 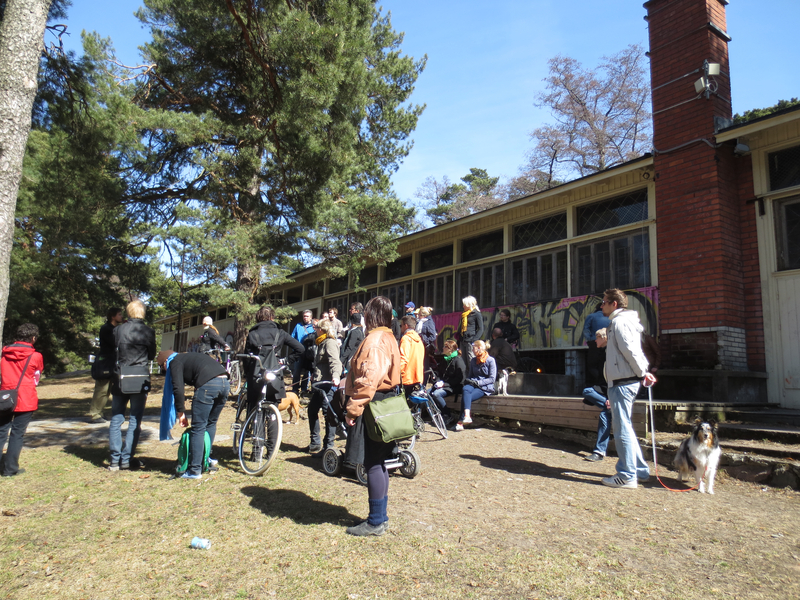 In Washington I also talked about the Turntable urban farm and hub of environmentalist activity that flourishes today in former railroad buildings in a tucked away part of Pasila. The bulldozers have arrived here too, just up the road. Twenty-first century construction methods have taken over the plot just north of the two old turntables and redbrick roundhouses, which themselves are protected as heritage. Alive with activity, the work-spaces, hobby-ists and the greenhouse here are a world apart from the building site. They are human scale and hopeful. My paper drew attention to the way both these no or low-capital greenhouse schemes have captured imaginations. Both have relished their small-scale and practical world-changing activities in the shadow of massive, capital-intensive urban development. Both are considered utopian and odd. It’s the bulldozing that more often passes for normal. Having been bombarded for years now with endless images of the great future promised to us by planning, Helsinki residents are learning to see a high-rise future Pasila as inevitable. Below is an architect’s fantasy composition as seen from more or less the same angle as in my picture of the bikes and greenhouse last summer, above. So what could I say of anthropological interest about activism in a comfortable country like Finland? Like in Margit Mayer’s study of urban activism in privileged cities (in the journal CITY), it’s clear that marginalized and weak urbanites are not involved in the activism I’ve looked at, with its focus on sustainable futures. This might be my answer to the question: It’s not just the downtrodden who struggle in our age, those who are or should feel comfortable also struggle. And it would be worth writing about how activists and ordinary people are making a plea for a different tomorrow for everyone, for a new normal. People are trying to establish not just an ecological viability, but a scale and feel to the city to make them feel good. 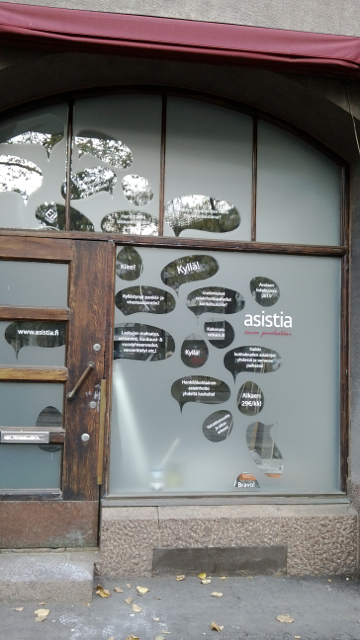 Helsinki’s DIY activism is about spelling out and trying out a different normal. It is a struggle, but not for survival (perhaps). It’s a struggle over defining the good and the sane. These kinds of middle-class claims to better tomorrows also have a long history. Artists, architects and designers have always had prominent roles in this kind of utopia-exploring work. Engineers have too. 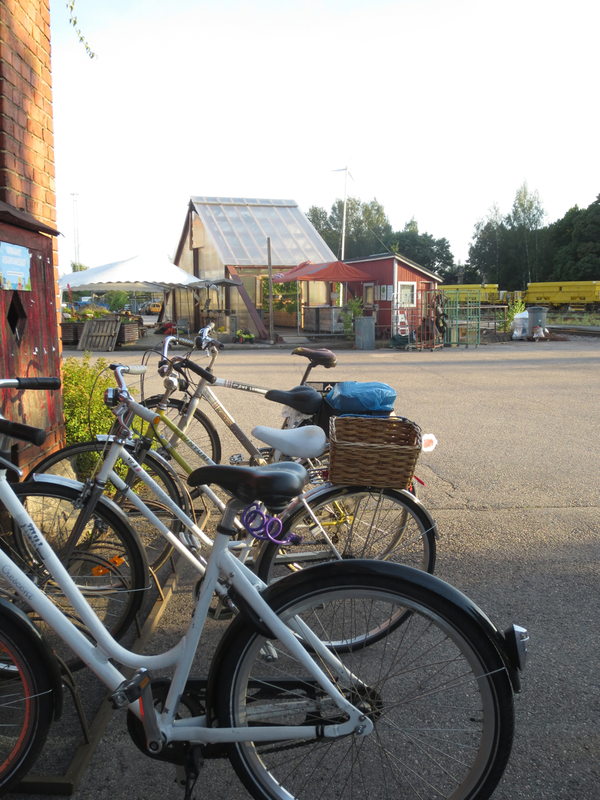 Building human-scale structures like greenhouses and saunas in central Helsinki has produced things that people want but the authorities don’t provide. Undoubtedly there is quite a contrast with the DIY urbanist efforts of people in poorer parts of the world. I’ll end by quoting from a great piece in the online architecture journal, Uncube, by Justin McGuirk. In 2011, in the aftermath of the Egyptian Revolution, a community in Cairo built itself four access ramps to the city’s 45-mile ring road. Living in an informal neighbourhood, residents of Al-Mu’tamidiya had long been bypassed and so they took matters into their own hands. There is no denying their initiative or resourcefulness. We are used to squatter-citizens building their own homes but DIY infrastructure is still seen as somehow beyond the pale. It is no wonder that the Al-Mu’tamidiya ramps have been celebrated as a triumph of grassroots empowerment. McGuirk insists that it’s not necessarily worth celebrating all this DIY and I agree. But I remain extremely grateful that it exists, North and South. OK, so there was a long academic paper here. For reasons to do with copyright and somewhat beyond my comprehension, I have deleted the text itself, but the abstract remains. I continue to develop these ideas, and I have had many, many great opportunities to do so this past summer, so chances are that I will post something fresh here soon. Meanwhile, here the abstract of the paper I wrote and will rewrite and hopefully publish elsewhere. Abstract: Initiatives and projects to create an alternative ‘normal’ are flourishing. Seeking socially just, culturally meaningful and materially sustainable futures, practical world-improving efforts of ‘activist design’ proliferate. This arena is an increasingly important route for contesting the status quo. However, design projects to create better tomorrows do not just seek to disrupt and oppose corporate-friendly policy initiatives. They are also part of policy, integral to normal neoliberal governance. Today’s expanded conception of design is increasingly explicitly used to address shared problems, typically via collaboration and experimentation. Activist design has affinities with older urban movement demands, particularly in how it critiques top-down expertise and reconsiders relationships between politics on the one hand and material objects, technological change and environmental threats on the other. 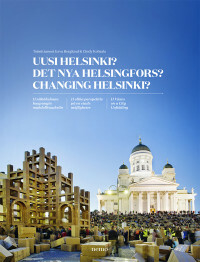 Using illustrations from Helsinki, the paper takes an ethnographic approach and shows that although design is easy to identify as activism – design activism – this fuses with government-driven design activity (and rhetoric), with the two often employing similar language and claiming identical goals. The paper calls this expanded space where design is promoted for social good, activist design. As has been noted, social movement scholars could be more actively researching this growing phenomenon, and exploring its implications for political change. Context-specific analyses of activist design could add to our understanding of contemporary politics, without taking design’s emancipatory, radical and even world-saving pretensions at face value. Seeking to avoid both naïve celebration of activist design and a perspective that reduces it to co-optation by the neoliberal city in particular, the paper takes an initial step by considering design interventions as ranging from the technocratic or politically limiting to the politically emancipatory. Awan, N.; T. Schneider; J. Till (2011) Spatial Agency: Other Ways of Doing Architecture, Routledge. Parts accessible at http://www.spatialagency.net. Berglund, E. (2013) ‘Design Activism in Helsinki: notes from the World Design Capital 2012’, Design and Culture 2013/2: 195-214. Binder, T.; P. Ehn; G. De Michelis; G. Jacucci, & G. Linde (2011) Design Things. MIT Press. Botero, A.; A.G.Paterson; J. Saad-Sulonen (eds) (2012) Towards Peer Production in Public Services: Cases from Finland, Helsinki: Aalto University. Botero, A. (2013) Expanding Design Space(s): Design in communal endeavours, Doctoral Dissertation 85/2013, Aalto University, School of Arts, Design and Architecture, Department of Media. Boyer, B.; J. W. Cook & M. Steinberg (2011) In Studio: Recipes for Systemic Change. Helsinki: Sitra. Cataldi, M, D. Kelley, H. Kuzmich, J. Maier-Rothe & J. Tang (2011) ‘Residues of a Dream World: The High Line’, Theory Culture Society 2011 28: 358-389. Clarke, A. J. (2013) ‘‘Actions Speak Louder’: Victor Papanek and the Legacy of Design Activism’, Design and Culture 2013/2. Di Salvo, C. (2012) Adversarial design. Cambridge, Mass: MIT Press. Evans, J. P. (2011) ‘Resilience, ecology and adaptation in the experimental city’, Transactions of the Institute of British Geographers, NS, Vol.36: 223-237. Fry, T. (2011) Design as politics. New York: Berg. Fuad-Luke, A. (2009) Design activism: beautiful strangeness for a sustainable world. London, UK: Earthscan. Gunn, W.; T. Otto & R. C. Smith (eds) (2013) Design Anthropology: Theory and Practice, London: Bloomsbury Academic. Haenfler R., B. Johnson, E. Jones (2012) ‘Lifestyle Movements: Exploring the Intersection of Lifestyle and Social Movements’, Social Movement Studies: Journal of Social, Cultural and Political Protest, 11:1, 1-20. Julier, G. (2013) ‘From design culture to design activism’, Design and Culture, 5 3.: 215-236. Kimbell, L. (2011) ‘Rethinking Design Thinking: Part I’, Design and Culture, Vol.3(3): 283-306. Mayer, M. (2013) ‘First world urban activism’. City: analysis of urban trends, culture, theory, policy, action, Vol.17(1): 5-19. McKay, G. (2011) Radical Gardening: Politics, idealism & rebellion in the garden. London: Frances Lincoln Ltd.
Novy, J. & Colomb, C. (2013) ‘Struggling for the Right to the Creative. City in Berlin and Hamburg: new urban social movements, new “spaces of hope”’, International Journal of Urban and Regional Research, Vol.37 5.: 1816-38. Osterweil, M. (2014) ‘Another view from Europe’: Forum comment, Journal of the Finnish Anthropological Society. Papanek, V. (1971) Design for the real world: Human ecology and social change. New York: Pantheon Books. Sadler, S. (2012) ‘The Dome and the Shack: The Dialectics of Hippie Enlightenment’, in I. Boal, J. Stone, M. Watts & C. Winslow (eds) West of Eden: Communes and Utopia in Northern California. Oakland: Retort/PM Press. Scott, F. (2007) Architecture or techno-utopia: politics after modernism. Cambridge, Mass: MIT Press. Susser, I. & S. Tonnelat (2013) ‘Transformative cities: the urban commons’, Focaal-Journal of global and historical anthropology, 66: 105-132. Thorpe, A. (2014) ‘Applying Protest Event Analysis to Architecture and Design, Social Movement Studies: Journal of Social, Cultural and Political Protest, 13:2, 275-295. Unsworth, R.; S. Ball, I. Bauman, P. Chatterton, A. Goldring, K. Hill, G. Julier, (2011) ‘Building resilience and well-being in the Margins within the City: Changing perceptions, making connections, realising potential, plugging resource leaks’, City, Vol. 15 2.: 182-203. Lähistölle paperikauppaa, että lapset pääsisivät hipelöimään ja vaikka ostamaan kivoja juttuja, ja minun kaltaiset ihmiset saisivat kynät ja musteet ja painavat tulostuspaperipinot helposti kotiin. Pankkikonttorin, missä virkailijat ehtisivät hymyillä ja palvella. Pelkkä konttorikin olisi kiva. Kemikalion. Muistatteko? Ettei kaikkea täytyisi Stokkalta noutaa. Kirjakaupan. Eipäs. Kirjakauppoja, sellaisia asiantuntevia, joiden kautta voisi tilata haluamansa, kun ei pienen kaupan hyllyille kuitenkaan eksy kaikkia niitä teoksia, mitä juuri minä toivon. Kauppa, josta saisi alusvaatteet ja sukat. Ettei kaikkea täytyisi Stokkalta noutaa. Sellainen ruokakauppa olisi kiva, joka ei kuuluisi S- eikä K-ketjuihin eikä kuitenkaan olisi pullollaan pääasiassa luksustuotteita. Sellainen kauppa, joka kehittäisi valikoimansa rohkeasti oman linjansa mukaisesti, kuitenkin vuorovaikutuksessa lojaalien asiakkaiden kanssa. Sellainen, joka pitäisi yllä käyttökelpoista ja ainakin osittain kotimaista ruoan tuotantoa tukevaa valikoimaa. Kotikaupunkia, jonka rantoja, metsiä ja hienoimpia rakennettuja ympäristöjä ei jatkuvasti kansainvälisen pääoman ja poliittisten muotien kuvitellut tarpeet uhkaisi. Close by a newsagent and paper shop, so kids could go and rummage through their fun stuff, and people like me could get pens and inks and heavy stacks of printing paper. A local bank branch, where the staff have time for service with a smile. Actually, just a branch would be nice. A “kemikalio” – for toiletries and stuff. So you don’t need to get everything from Stokkers. A bookshop. No. Bookshops, ones with expertise, and through which you could order the books you want. A shop to buy underwear and socks. So you don’t need to get everything from Stokkers. It would be nice to have a shop that wasn’t part of either the S or K corporate families. One with its own style and selections, that has a good rapport with customers, and that carries a substantial range of local products but that isn’t primarily a purveyor of luxury items. A hometown whose waterfronts, forests and finest built environments weren’t under constant threat from the imagined requirements of global capital and the political fashions it supports. Below are some pertinent links to set out context that inspired my thoughts above, namely the way global trends in designing cities impacts on semi-peripheral places like Helsinki. For this city, let’s be honest, has insufficient resources to resist the lure of international planning trends combined with repeated flattery (in Finnish). To be exact, I refer, of course, to the determined efforts of the New York-based Guggenheim Foundation to leave its mark on Helsinki. News of unrest continues to arrive from Turkey, where fury was sparked by an innocuous sounding proposal to redevelop an urban park. News also continues to reach us of Britain’s rather more subdued resistance to urban planning and design. OK, these are not perhaps political stories about the same thing, but they have something in common. They show us the political importance of the solid and everyday-real elements of the city. And, by the way, it really, really matters to us whether we in Helsinki live in the shadow of 33 floors of international investment-financed hotel or of a smaller-scale and more locally accountable architecture, as this letter by outraged activists shows. Helsinki folk are not venturing out into the streets or setting out political platforms – yet – on the issue of designing the future city, but we are getting plenty of news about proposals, developments and emerging conflicts every day. 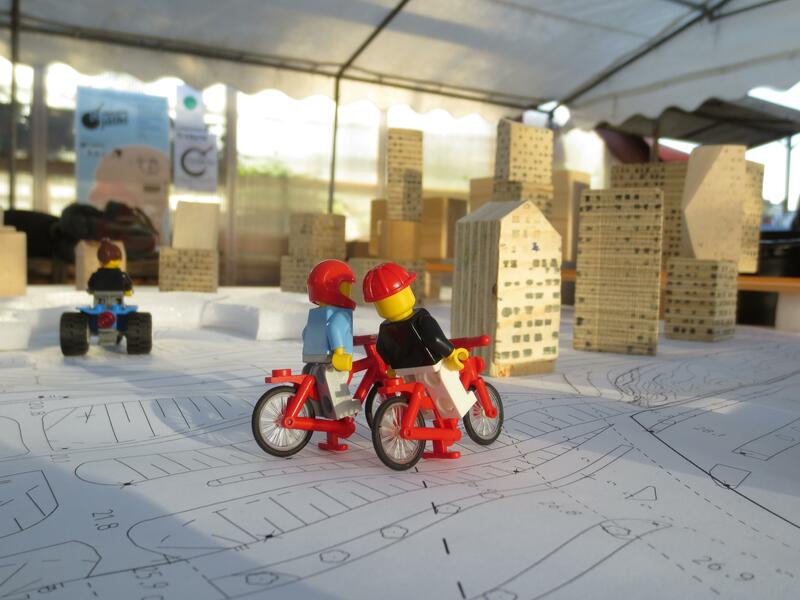 Now, of course, they aren’t about our being World Design Capital – the city just is designing because it is expanding. Meanwhile the small Danish city of Kolding about 2 hours train ride from Copenhagen is seriously trying to develop the promises of design for a better urban future. It has the independent Kolding School of Design, a regeneration scheme based on design, and, under the auspices of the University of Southern Denmark, a university department of design. And for all that it is much like any Northern European small city. Pretty in bits (see right), rather quiet (bordering on empty) and yet a pleasant enough place for the comfortable style of life that so many Northern Europeans came to think of as normal in the twentieth century. Mostly well designed buildings. Well designed education. Well designed door handles. All fit for purpose and quite calming to behold. So this is where an interesting conversation was launched last month by the Victoria and Albert Museum’s Professor Guy Julier. The topic? Design Citizenship. I asked him what that was. We spent a day discussing it. I’m not sure we found THE answer, but we certainly established the point that “the socio-material engagement that is design citizenship” is creating new demands of municipal leaders as well as ordinary people. Guy’s interesting write-up here. Who designs what, how and for whom is top of the agenda now. Or it should be. I’m keeping an eye out now for obvious ways to link political life and urban design. Send us any links or info you have. That title is a line from Adversarial Design by Carl DiSalvo (2012), part of the MIT’s book series on Design Thinking and Design Theory. And if the book is an indication of what the rest of the newish range offers, I’ll gladly read those as well. 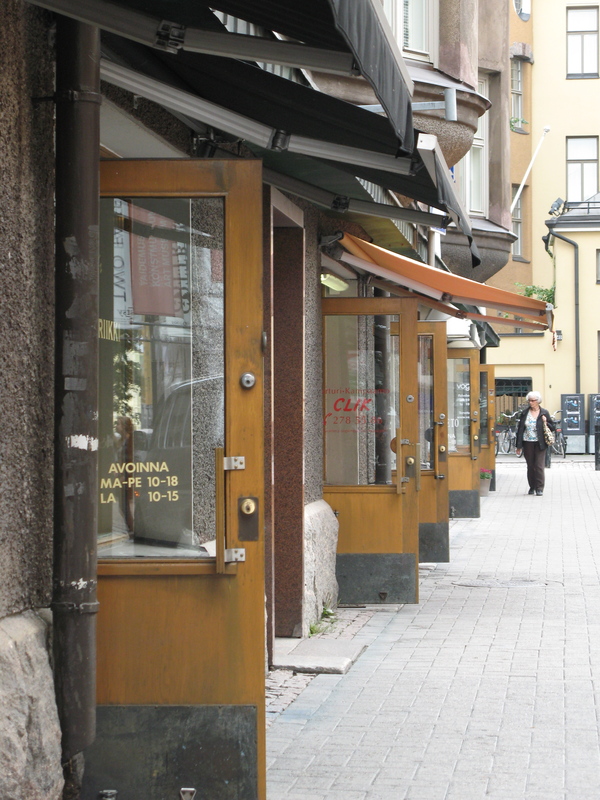 I’d like to encourage Helsinki’s planning and urban design experts to take a look too. DiSalvo writes about articulations between design and politics. But he’s not so interested in how design knowledge is applied to solve to political problems (the endless efforts in Finland to connect the public with government with apps and other communications innovations would fall into this cateogory). No, DiSalvo writes about the numerous “minor acts of disruption” that creative, not just artistically gifted but politically engaged, designers have helped to bring about. My favourite examples are robot dogs that sniff out environmental toxins in your neighbourhood and Ad-hoc Dark (roast) Network Travel Mugs. Alas, the idea of “minor acts of disruption” sometimes just feels too close to powerlessness. That’s to say, the scale and speed at which our major environments, like the city of Helsinki for instance, can be transformed with current design technology, really puts our planning system under strain. Yesterday’s Jane’s Walk was a delight. Once again it seemed that the weather makers were on the side of the vaguely “green”. Here we were, learning about the macabre origins of Hietaranta beach and the twists and turns of preventing the demolition of its beautiful and useful “pavilion”. One of the most important points Jane Jacobs’ writings have brought to our attention, is that the city is much more than architecture. Further, a building in the wrong place or in the wrong shape, can wreck an existing environment. And although she has been mistakenly used by activists over the years to defend tradition against novelty, Jacobs was never against change. She wasn’t even against modernism. She apparently even liked the Seagram Building! 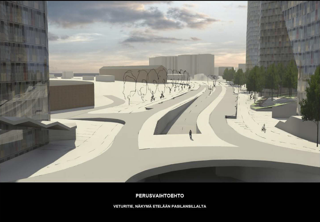 Unfortunately – or fortunately – I was unaware yesterday that the latest round of decisions about a proposal to alter the local plan for our destination point, Jätkäsaari, just on the edge of Helsinki’s compact city centre. For 200 years we have relaxed into our horizon, from the dark days of winter to the endless daylight of midsummer. We are now at the cusp of having the city thrust high into the skies. Because tomorrow the City Board will make a decision that will potentially transform the very identity of Helsinki’s architectural heritage. It is not just a case of giving permission for one building. I believe it would change everything, at a stroke, for the worse. Yesterday we noted that though the city-edge of the former Jätkäsaari harbour was a building site, it seemed to be sprouting quite decent mixed-tenure residential blocks. It also has workspaces and retail in some old warehouses by Lars Sonck as well as a hideous but popular computer megastore, a busy passenger terminal and a remarkable monument to concrete. If the Board agrees to alter the development plans – quite likely – all this would be overshadowed by a 33-storey conference-centre-hotel financed by the same Norwegian investor whose earlier hotel plans for Helsinki (by Herzog and De Meuron) were scuppered because they were rather putting its historic centre at risk. The Planning Department and many politicians have dismissed the ample public criticism of the tower hotel. Tomorrow’s decision is likely to be, “go ahead”, but it’s equally likely that public outcry will follow. I can’t help feeling that the risk to Helsinki is so great that there must be some “muddled thinking” somewhere. (Like, why the Seagram Building is actually easy to like, but the renderings for Jätkäsaari produce shudders). But why should the critique be sidelined? Where are these desires coming from, to put Helsinki’s living environment as well as its brand asset – its horizontalness – at risk? Certainly the planning system – slow and cumbersome as it is – is still too closed. There should be time and space built into it for a process of genuine disagreement and genuine alternatives to be voiced and debated. It all seems a long way off from the thoughtful and rather academic concerns of DiSalvo. And yet, somewhere in all that talk of adversarial, agonistic, actively political engagements with the world we are designing, there must be the seeds of a vocabulary and a repertoire that even a consensus-minded city like Helsinki could learn from.